Today many homes are equipped with solar air conditioners. They are becoming quite popular among homeowners on account of various reasons such reducing energy cost, environmental conservation, reducing carbon footprint etc. There is a special feel about producing your own power to run your air conditioner. But what happens on cloudy days that continue for a long stretch. You can depend on batteries but batteries will not supply power for long unless they get recharged with solar energy from time to time. Under such conditions it is better to opt for hybrid solar power system. In this case the A/c and other appliances connected to solar power will run on sun’s energy whenever they can avail it. They will also be connected to the utility grid. On cloudy days when the solar power system is unable to produce power, they will draw power from the grid. In a hybrid system it is useful to have net metering system. 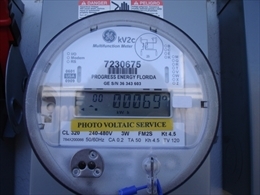 Net metering is a program offered by some utility companies. This looks like a typical house meter that displays how much power you are using from the grid. If your solar power is producing excess power than required by you then you can feed it into the grid. You will earn credits for it. 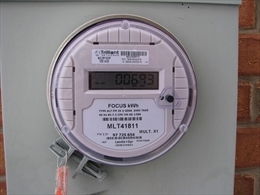 The net metering will also show how much power you have fed into the grid. Having your air conditioner connected to the utility grid has its benefits. You do not have to buy or depend on expensive solar batteries. The net metering system will store extra solar power for times when you don’t have enough. You can of course keep a battery backup to use in times of power outrage. You do not have to buy expensive, noisy, and fuel-consuming generators to use when solar power system is not supplying enough power to run your air conditioner. One of foremost shortcoming of battery back-up is that batteries can store solar power for only 3 -5 days. That means in summer when solar power systems produce excess power you cannot store it for the bad days, which are in winter when there is a power crunch. But with net metering system you can feed the excess power into the grid. The net meter will keep a tack of it. You will earn credit due to it. You can bank on you credits to source power from the grid in winter. With net metering system you can eliminate two essential components of solar power system that requires lot of maintenance. They are batteries and generators. They have short lifespan too. In a grid-tied net metering system you will need the solar panels for producing power and an inverter for converting DC power from the solar panels to the standard AC power. Neither of these components require much maintenance. The solar panels made of semiconductor materials with 25 years of warranty and are protected by glass front. A grid-tied net metering system enables you to produce clean renewable energy without maintenance hassles and with very durable components. According to American Wind Energy Association, a 10-kilowatt system can save a consumer an estimated $10 to $40 a month with net metering system.